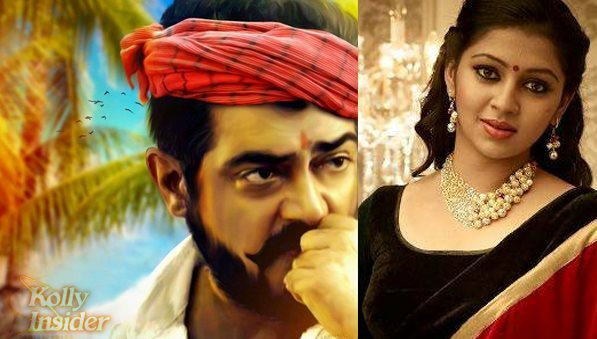 Lakshmi Menon has now officially confirmed about her involvement in Ajith Kumar’s upcoming film tentatively titled ‘Thala 56’. The film is directed by Siruthai Siva and is produced by AM Rathnam. This is the third project that Ajith and AM Rathnam are coming together following the grand success of ‘Arrambam’ and ‘Yennai Arindhaal’. The film will be a commercial entertainer laced with action, sentiments and family. Much like ‘Veeram’, Ajith Kumar will play a loveable brother, this time to his younger sister essayed by Lakshmi Menon. According to the sources, Lakshmi Menon will be joining the sets of this film from May 7. While Shruthi Haasan plays the female lead role, Santhanam is taking care of humour and Bangalore based model has been signed up for the baddie character. The shooting commenced last week itself in Kolkata and Anirudh has already started working on the tunes.